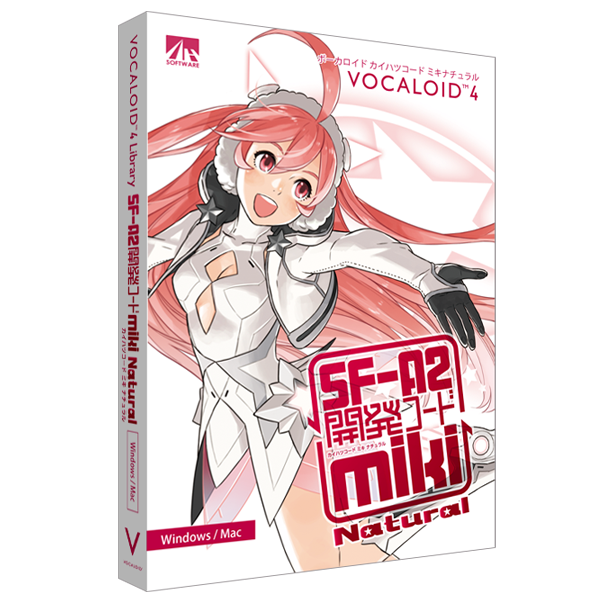 VOCALOID4 miki Natural is made based on the voice samples of Miki Furukawa, a female singer. VOCALOID4 miki Natural is made based on the voice samples of Miki Furukawa, a female singer. It perfectly reproduces her amazingly wide vocal range. With VOCALOID4 new functions like Growl and enhancements, her voice sounds even more natural and human. The character is designed by Kozaki Yusuke, who is very popular in the fields of games, comics and other.